Electrical Engineer at Sifteo, Inc. at Sifteo, Inc. – Adafruit Jobs Board « Adafruit Industries – Makers, hackers, artists, designers and engineers! 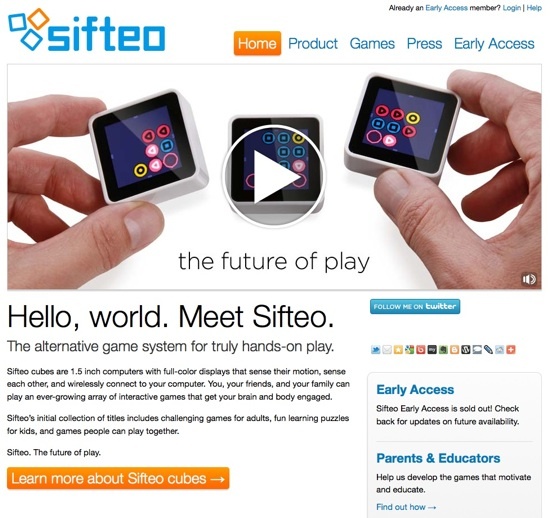 Electrical Engineer at Sifteo, Inc. at Sifteo, Inc. – Adafruit Jobs Board. AWESOME JOB! Sifteo, a venture-backed start-up creating a next-generation game system, is seeking a smart and driven electrical engineers. We are creating Sifteo cubes, wireless blocks with full color screens that interact with each other and respond to motion to unleash a whole new world of play and learning applications. The technology has been spun out of the MIT Media Lab and has been featured on the Science and Discovery channels, presented at the TED conference, and has been written up by Engadget, Gizmodo, New Scientist and Wired. Man, I think these Sifteo cubes are expensive (~$50 bucks each!). Then you have to buy software from their app store. Finally, it seems there’s no user serviceable battery – I refuse to buy anything without a user serviceable battery; it is not only planned obsolescence, it is environmentally irresponsible. So Sifteo is a no-go.